There's nothing better than jetting off abroad to enjoy a bit of sun and some quality time with your family. If money was no object, I'm sure the majority of us would be booking holidays left, right and centre! But sadly that isn't the reality. 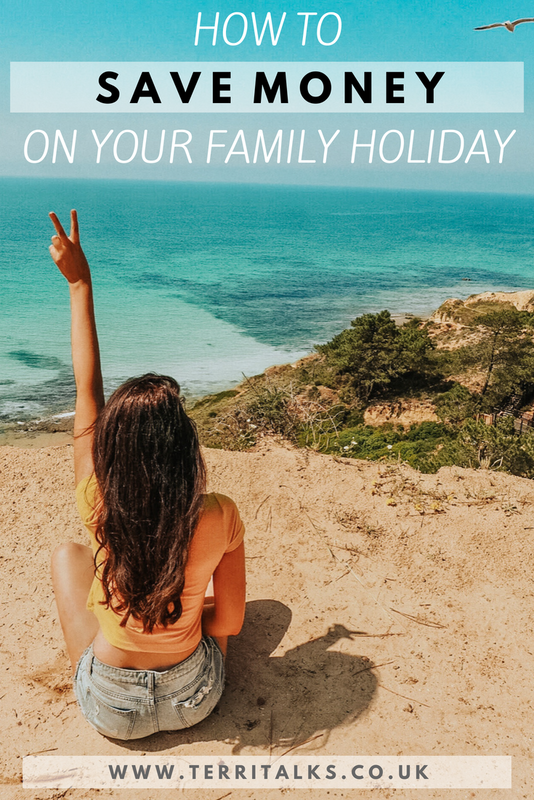 What we can do however, is try and save some pennies when we do book our trips so we're not breaking the banks in order to have some holiday fun! The biggest tip I give people is to shop around! Don't ever just book a holiday to say Majorca, from the first website you've come across. Look around and you'll surprise yourself. You may find the exact same flight, or hotel is A LOT cheaper elsewhere. Visit a site that specialises in a certain area of travel, so that may be long haul holidays, All Inclusive holidays etc. 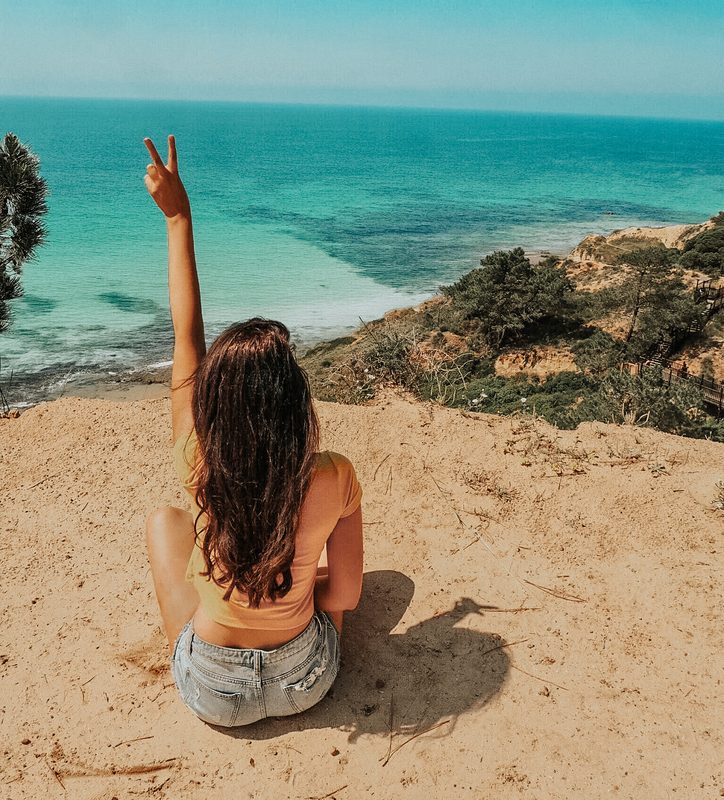 For example, Holiday Gems specialise in sunny destinations closer to home, so if you wanted to book Majorca flights and hotel, they're bound to have better deals! This may seem like an obvious one, but booking in advance will save you a lot of money. I am so guilty of booking holidays 3-4 weeks before I plan to travel, and regretting it because the prices are sky high! If you book somewhere 50+ days in advance, you could see a great decrease in your total price! Instead of heading to the most popular destinations, you could research some similar areas that maybe aren't as popular with the tourists. The area we stay at in The Algarve is a quieter location, which is actually more popular with the Portugese locals than it is English tourists, meaning we get a bargain price for an amazing luxury hotel! If you can, try playing with the travel dates slightly to find a better price. It's no secret that travelling on a weekend can be pricey, so why not travel mid week? Tuesday's are said to be the cheapest days to travel. If possible, you can also change your flight times to try and save some money. When we went to Disneyland Paris, a flight at 6am was £200 less each, than a 1pm flight! Again, this is a pretty obvious one. But if you aren't travelling with children, you can work your travels around the school holidays. During half terms, and summer holidays, prices are at an all time high as everywhere and everything suddenly becomes very high in demand. We tend to always stick to early May and late September for our holidays as the prices are normally at their lowest. You can actually save a lot of money just by looking around for some discount codes. Normally you'll actually find a lot of the codes direct from the companys website. They are usually along the lines of '£100 off per person' '£200 off long haul flights' etc. Try using cashback websites too! Usually you can get anywhere between 3-5% cashback on holiday bookings, which is still a great saving! Sticking with the deals, if you are travelling with children you'll almost always find a great holiday that offers a 'Kids Go Free' place. Sometimes, you'll also find other deals such as 'Kids Free Half Board', at places like Disneyland to save some money on meals. Living in Newcastle, flights from Newcastle Airport are surprisingly not that cheap. The biggest, more in demand airports such as Manchester, Heathrow etc are normally the cheapest to travel from. For example, on one of our bookings the total prices was £600 more flying from Newcastle, that it was Manchester! Researching the area you're going to is very important! Not only will it give you an idea of the general price of things so you know how much money to take with you, but it can save you money. If you have an idea of what you want to do out there, i.e any particular places to visit, or trips and excursions, a quick google and you may find pre booking these will save you some money. A lot of places also offer 2 for 1 on certain excursions, or you can even save some pennies by getting a local travel card! Plan, plan, plan! Have a clear list of what you NEED to take first of all. Don't waste money and precious suitcase space buying unnecessary amounts of clothes. When you're on your holiday, set yourself a daily spending allowance. There'll be some days where you blow the entire budget, and others where you barely dip into it, which means you can carry the remainder over to the next day. This prevents you from blowing the entirety of your spending money within the first two days, meaning you won't have to withdraw any additional money. What's your best money saving tip for going on holiday? *This post is sponsored by Holiday Gems. All words and opinions are my own. Sooo many good tips. I do so so much research before any trips and these tips are defo some I follow! And we’re lucky in that we don’t have any babies yet so we can pretty much go whenever! Fab tips - when me and my friends went away we decided we wanted a city break but were completely open to where we went. We ended up picking Prague and it was so cheap and so fun! I think looking at Air bnb's instead of hotels can sometimes save a bit of money. My partner and I refuse to go away in school holidays as we can't stand being constantly around screeching kids haha so we always go for April/May and the end of September! My biggest tip for saving money would be to look for an apartment and have breakfast there and if you can, make a packed lunch to take out with you! You've then got the evenings to try restaurants that you like and you save a hell of a lot of money as I find the food is the biggest expense on holiday. It makes you feel groggy and horrible eating out lots, too! So many great ideas. I can’t get over the difference in cost for Newcastle airport either. Great tips! Luckily my last few holidays I've been staying with family who live by the coast. We tend to book other places out of season so we save some money. We drove from Scotland to Manchester to save £400 on flights! Such a good saving for a few hours in the car - well worth it! I think looking for a great deal on holidays is my favourite hobby. If you take the time and be strategic before you book, you can get a lot of money off, which means more spending money! Thank you for the great tips. Some great tips! We travel a lot but I’m constantly looking for the best deals - why pay more than you have too!! This is such a good post! Also i find it is sometimes cheaper to book internal flights when in country. Also, dont use a travel agent! Absolutely brilliant tips here! looking forward to using them for my next trip!